This travel course brings students to Iceland to examine landscape change through the lens of natural and anthropogenic influences. Iceland’s unique geography and its recent development trajectory focused on tourism provide an ideal location to study the impact of both natural forces and socio-economic conditions on an ever shifting landscape. As students travel the Ring Road around Iceland, they explore the influences of plate tectonics and recent climate change and warming trends on the landscape. 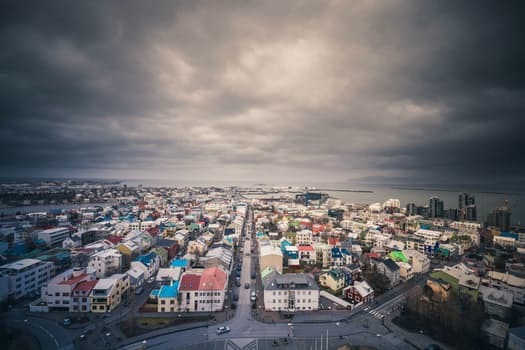 Additionally, they consider how the Icelandic economy with its recent focus on tourism development has capitalized and promoted its natural assets to give rise to one of the fastest growing tourism sectors seen anywhere across the world. Tourism is now the largest industry in Iceland but its success as an economic driver is highly dependent on a sustainable growth trajectory. Students will employ participatory and observational methods as well as satellite imaging technologies to document and analyze changes across the Icelandic landscape. Students will be trained to critically assess how natural forces influence human activity and in turn how humans impact the landscape as tourism and development expands its reach across the country. Students will be required to assess different tourism options, including eco, wellness, and adventure tourism, and reflect on ways to mitigate the possible negative impacts of this rapidly growing industry, while also applying lessons learned from Maine. Students will have an opportunity to assess factors related to hospitality management and industry trends in Iceland and compare those to Maine’s hospitality industry. This interdisciplinary travel class incorporates educational activities developed by instructors in the fields of hospitality management, tourism, geography, climate change, and sustainability. All applications must be received by Friday, February 22nd. Incomplete applications will not be accepted. You will be notified by e-mail of your application status. If your application is not accepted, the nonrefundable deposit will be returned. If the program is canceled for any reason by the USM, all deposits will be returned. Faculty may request additional items including: letter of recommendation and/or a transcript. *If you are having trouble downloading the application, please contact us at (207) 780-4959 or usm.international@maine.edu and we will send you one. You may also want to try upgrading to the latest version of Adobe Acrobat Reader. The approximate program fee is $3,200 - 3,400*, not including tuition. The cost of tuition and fees at the in-state rate are in addition to the program fee. *Students may be eligible for a scholarship to be utilized towards the program fee. The program fee includes accommodation, airfare, scheduled in-country travel, cultural and academic excursions, some meals, and international insurance. Not included in the program fee is the cost of tuition, fees, books, academic supplies, most meals, or other personal expenses. All participants on USM travel programs receive the in-state tuition rate regardless of residency. If you have questions about financial aid or completing your FAFSA, please contact the financial aid office at (207) 780-4166. If you are not a matriculated student at USM, please check with the financial aid office at your institution.